ARC Contractors have been established for 30 years and have many years’ experience in Plumbing, Heating, Repairs/Installation. We are authorised Saniflo Service Engineers. 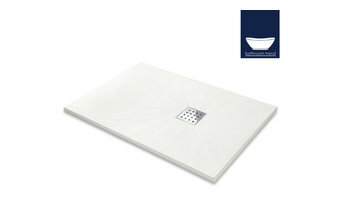 And specialise in Bathroom Installations from start to finish. We are a family run business who pride ourselves on being able to offer a personalised service. When booking work a job reference number will be allocated to you and our data-base system will keep accurate records of jobs carried out, enabling us to personalise our service. Hi and welcome to Manchester Plumbing and Heating Boiler Repair and Replacement your local solution to all plumbing and central heating services. We are based in Sale, South Manchester and welcome any inquiry you may have. Our Company. We are a small friendly company serving the Manchester and Cheshire areas, and have many years experience in the industry. Our aim is to provide new and existing customers with a comprehensive boiler repair, plumbing and central heating service which is first class quality. We realize that our customers expect us to be courteous, punctual, reliable and carry out the work to a high standard. Our Services. We are specialists in boiler repairs, plumbing and central heating work, offering a complete range of plumbing services from general plumbing through to bathroom installations and gas central heating including boiler repairs. Our Guarantee. We guarantee every job from faulty workmanship, which leaves our customers with peace of mind and hopefully they will use our services again. Power Flushing Central Heating Systems is our main business. 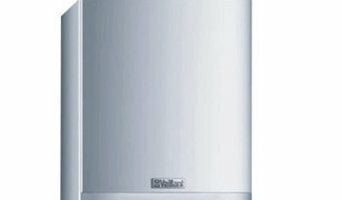 We also carry out Boiler Repairs and Boiler Installations in and around the Manchester area. When we Power Flush a Central Heating System we clean all the pipework, radiators and the boiler which improves the efficiency of the central heating system which saves money on heating costs. Boiler & Bathroom Company provides an excellent Plumbing & Heating service throughout Ossett, Wakefield & the surrounding area's. 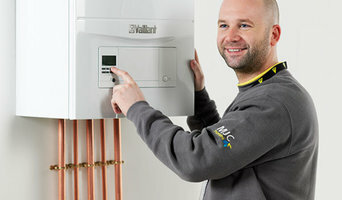 With over 18 years experience in the trade we specialise in Boiler & Bathroom installations, maintenance & repair. Gas Safe Registered (545233) & Worcester Bosch Accredited. At JC Plumbing we’re a highlymotivated, skilled and ambitious team of plumbers based in Manchester with no call-out fees. We work to showroom standards and always put 100% into our work. If water runs through it.... We do it! Book now with Dyno Plumbing Preston. We offer 24 hour service in your area, with a 3 month guarantee on all work undertaken - no call out charges. We are a south Manchester family company specialising in plumbing and heating services. We pride ourselves on working to the highest standard. It’s the key to our great reputation. Our experienced plumbing and engineers at PH Plumbing & Heating Ltd can undertake the full range of plumbing and heating jobs including installation or new boilers. repairs and routine maintenance to homes and businesses in Manchester and cheshire Heating tasks requiring gas skills are undertaken by our qualified and Gas Safe engineers. All our customers receive the same high level of service and quality, and we have a deserved reputation for prompt and efficient completion of work leaving your property as we found it. We are Gas Safe registered, city and guilds trained and hold ACS, WRAS, HWSS BPEC qualifications. We have served time with Manchester City Council & British Gas attending Glow-worm, Vaillant, Viessmann, Honeywell Atag product training courses. Homeowners and landlords have been relying on our acclaimed gas engineers in Stockport for upwards of 2 decades. Whether it’s a new boiler installation, routine boiler servicing, safety inspections or general gas repairs, we will be there to assist you. Our approved Gas safe Central Heating Engineers are Gas Safe registered, so you can rest assured that any domestic gas work carried out in your home will be done safely, efficiently and with the highest standards of professionalism. Plumbers in Stockport, Cheshire can do more than just fit sinks and fix toilets; for any water or gas fixture there’s a plumbing company that can repair, install or even design it for your home. In the kitchen, you’ll need local plumbers to hook up your sink, dishwasher and washing machine to the main water supply and the drainage pipes, and they may be able to help with waste disposal units, gas hobs and plumbed-in fridges that dispense ice and water. In the bathroom you should hire Stockport, Cheshire plumbers to install your main bathroom fixtures – showers, baths, sinks, toilets and bidets. Plumbing companies and heating engineers can also install towel radiators, shower body jets, bath spas and possibly underfloor heating. Plumbing doesn’t have to stick to the kitchen and bathroom, either. Plumbers can install water taps outside for hoses and sprinkler systems, or you may want outdoor water features, such as a fountain, pond, pool, hot tub or shower; all of which you can talk to Stockport, Cheshire local plumbers or plumbing companies about. You may find that you need a plumber to work with a tiler, kitchen designer or architect so that your whole redesign can come together seamlessly. Here are some related professionals and vendors to complement the work of plumbers: Main Contractors, Septic Tanks & Sewage Systems, Kitchen & Bathroom Designers, Kitchen & Bathroom Fitters. Find local plumbers on Houzz. 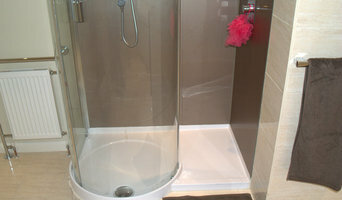 Narrow your search in the Professionals section of the website to Stockport, Cheshire plumbers and plumbing companies. You may also look through photos of Stockport, Cheshire projects to find a plumber who has worked on a project similar to yours.